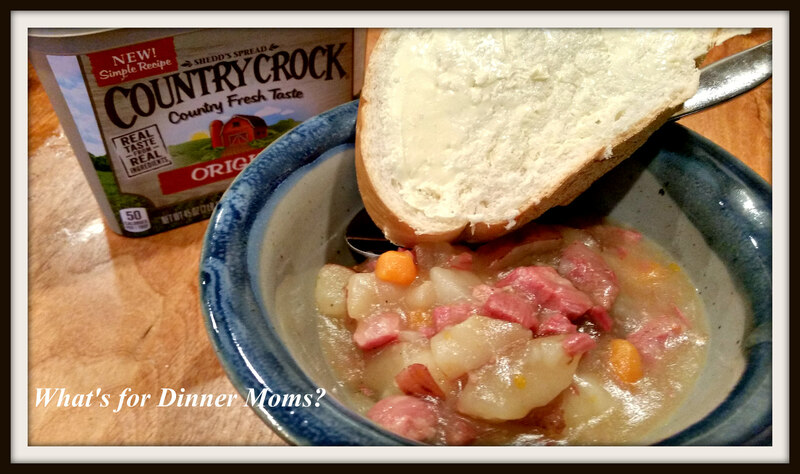 Country Crock – Make It Your Own, Mix-Ins Cookies – What's for Dinner Moms? I received this product free from Influenster in exchange for my unbiased review. All thoughts and opinions are my own. I remember Country Crock from when I was a kid. We had big giant brown tubs of it in the refrigerator and ate it on toast and bread every day. About 10 – 15 years ago we switched solely to butter. When we went to pick up the tub in the grocery store I was surprised to see a cute little rectangle that would fit perfectly on the top shelf of my fridge. No more big tubs! I had both of my children try the Country Crock original spread on fresh bread. Both of them liked how easy it was for them to spread and no torn or broken pieces of bread to cry over! The flavor was good and the ease of use was perfect for us. Then we made the Country Crock – Make It Your Own Mix-Ins Cookies. Using the recipe provided on their website we started with a version of S’mores cookies that included chocolate chips and marshmallows that we chose as our mix-ins. Not thinking about what happens to marshmallow on high temperatures they didn’t work well. But, that really wasn’t the problem with the cookies. We can take out the marshmallows which we did. You can see the cookie in the bottom center without marshmallows. It turned out perfectly. So, make them without the marshmallows in the cookies. That was a simple fix. The dough came together easily. The great thing about using the Country Crock was the dough was soft and pliable. It was easy to mix. We portioned them out onto the parchment paper and baked them. My kids were waiting with bated breath to grab them as soon as they came out of the oven. I was mean and made them wait until they cooled a bit. Both kids said the cookies were “okay.” My daughter said they tasted bready. Thick and chewy with bread like flavor. I think that was from the three cups of flour. My son said they really didn’t have much flavor. He was right. I need to play with the recipe more. 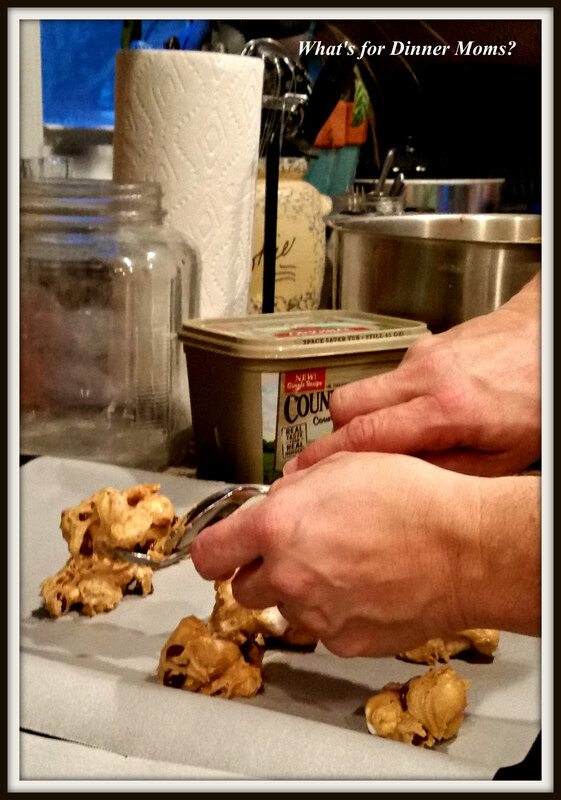 We ended up making Chocolate Chip Cookies which are a simple cookie but this recipe did need more flavoring. I plan on playing with the recipe over the next few days and seeing if I can make it with more flavor. I have given the original recipe below which can also be found at Country Crock.com (click for link to original recipe). Try it for yourself and play with it to see what you can come up with. Preheat oven to 375 degrees. Prepare two rimmed baking sheets by covering with parchment paper. Mix Country Crock spread, sugar, brown sugar, egg, egg yolk, and vanilla in a large bowl until well blended. Stir in flour, baking powder, salt, and baking soda to the sugar mixture until blended. Dough will be soft and pliable. Stir in your mix-ins until they are thoroughly incorporated. 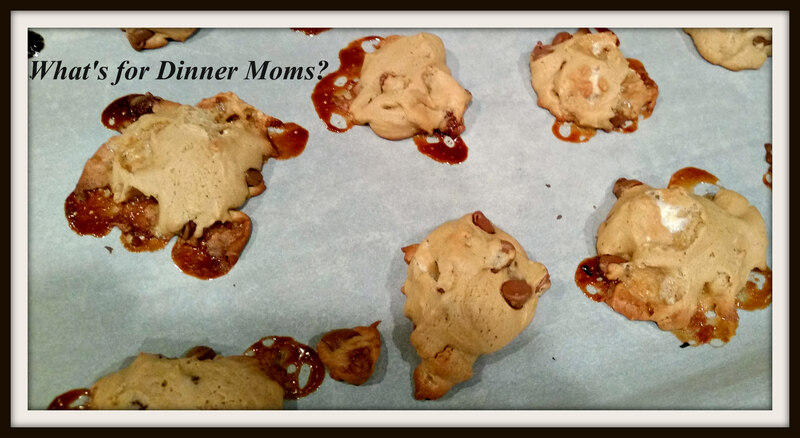 Drop by rounded tablespoons 3″ apart on the parchment paper. Bake 10-12 minutes until the edges are golden brown. Remove from oven and cool 1 minute before moving to a wire rack. The problem is the spread is so soft that it still needs the binder so I am working on figuring it out. Very interesting Marci! I loved seeing the use of different products!